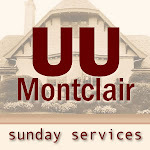 26:44– Selections from our Sunday Morning Worship Service at The Unitarian Universalist Congregation at Montclair by Rev. Jason Shelton. 26:22 – Selections from our Sunday Morning Worship Service at The Unitarian Universalist Congregation at Montclair by Rev. Anya Sammler-Michael. 23:17 – Selections from our Sunday Morning Worship Service at The Unitarian Universalist Congregation at Montclair by UUCM Member Laura Kushner. by UUCM Member Laura Kushner. 33:12 – Selections from our Sunday Morning Worship Service at The Unitarian Universalist Congregation at Montclair by Revs. Anya and Scott Sammler-Michael. by Revs. Anya and Scott Sammler-Michael.